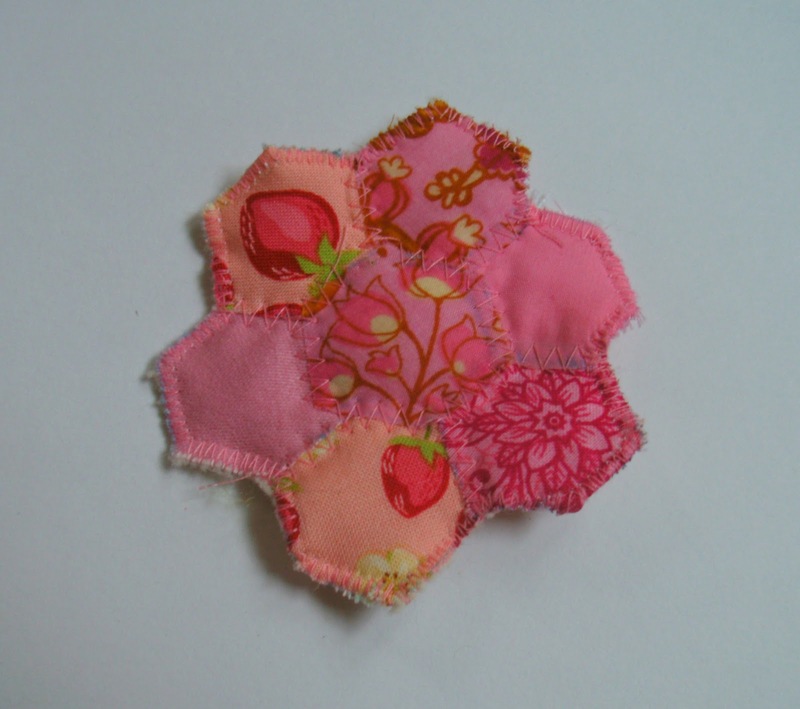 I just love all the hexagon quilts - they are so gorgeous and intricate. 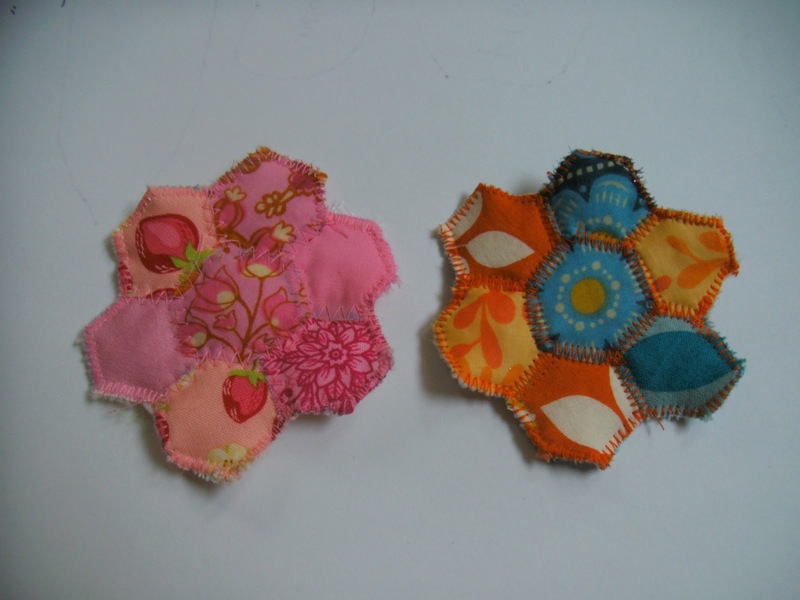 For some reason at dinner last night the idea popped into my head to make a hexagon hair clip for Charlotte. It took a little trial and error but here's what I came up with! That is an orange and blue one for Charlotte to wear to Ryan's graduation. Here's a pink one, because you know - we're girly. 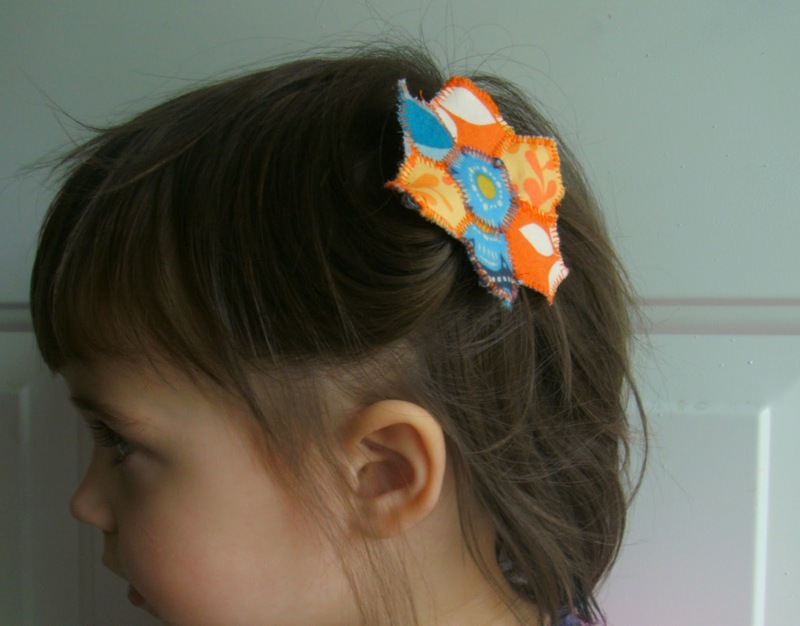 Would you like to make one for the little girl(s) in your life? Step 1: Cut out your hexagon template. Mine was 1 1/4" wide. Here's one for you to trace right off your computer screen.. Step 2: Scrounge through your scraps until you find colors that make you happy. 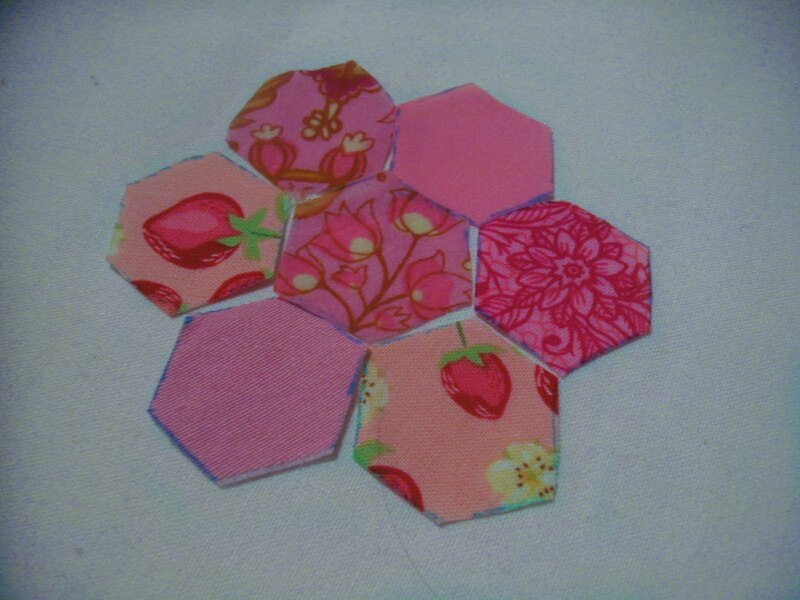 Cut out 7 hexagons. Move them around until you are happy with the arrangement. 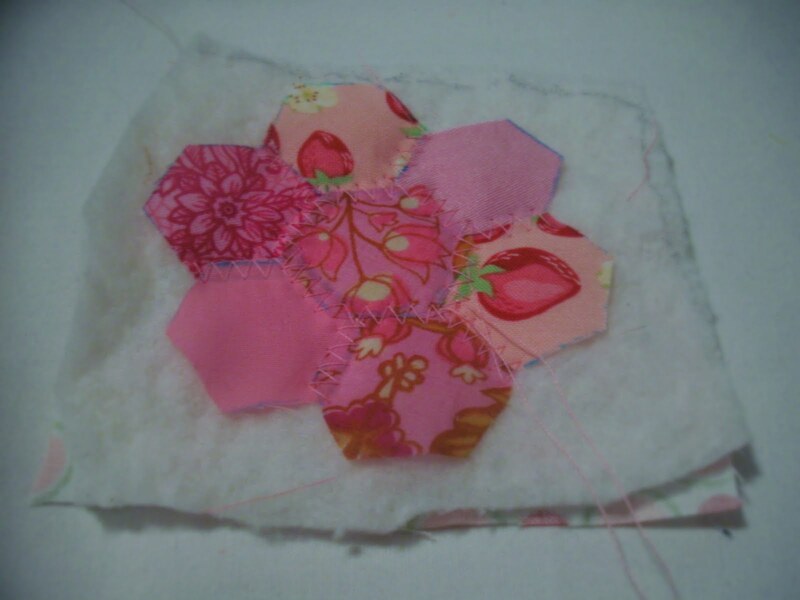 Step 3: Cut one square (it needs to be larger than the hexagon arrangement) of the backing fabric, and one square of batting the same size. 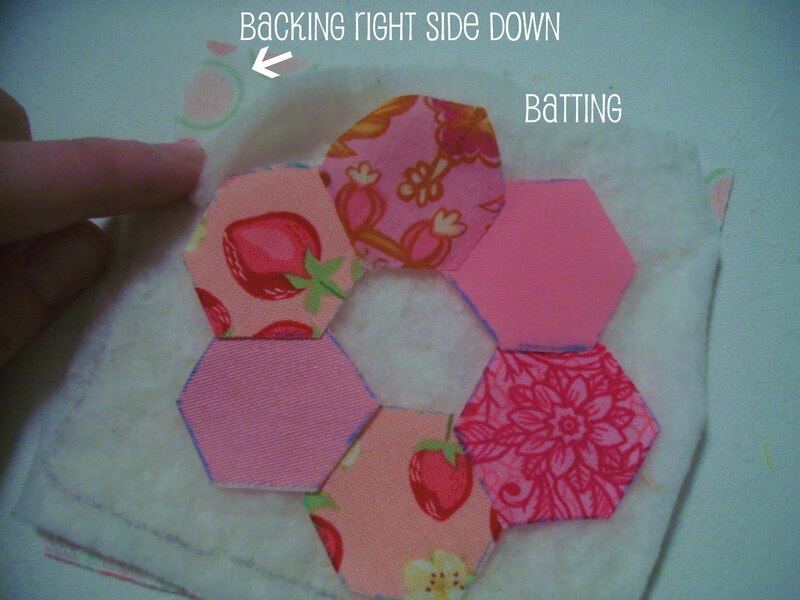 Layer them - beginning with the backing right side down, then the batting, then the hexagons - all but the middle one. Step 5: Trim off the excess batting and backing fabric - following the shape of your hexagon "flower". Step 6: Zig-zag around all the raw edges. Step 7: Last but not least - hot glue the clip to the back of the hexagons. 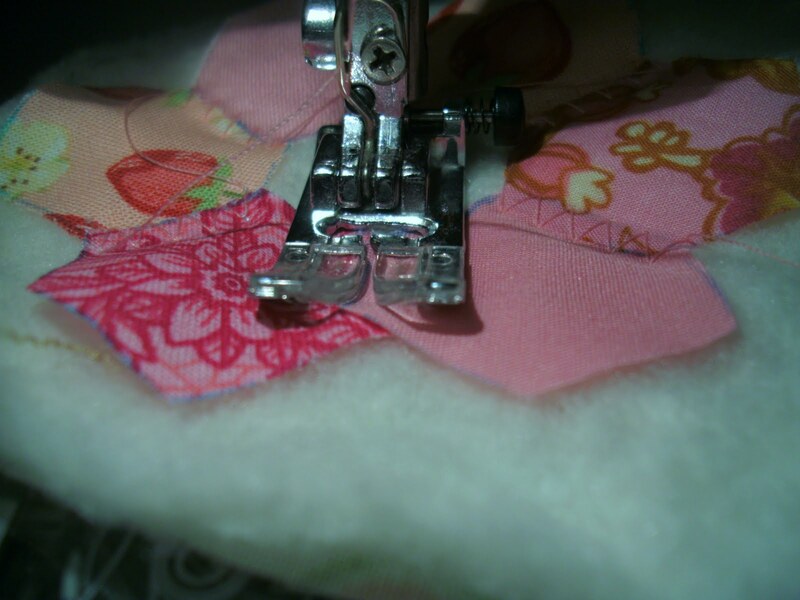 You can cover the clip in ribbon if you like. Ta-da! 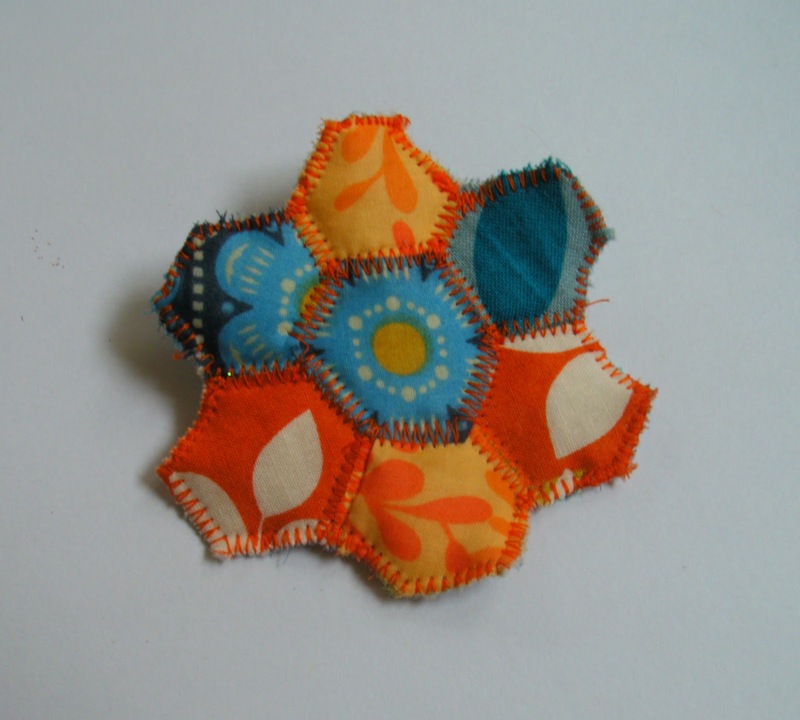 A cute little accessory reminiscent of a well-loved quilt.